It's no secret that I've been lusting after the Kate Spade Beau Bag for MONTHS but I never had the money and it was always just too dam expensive. 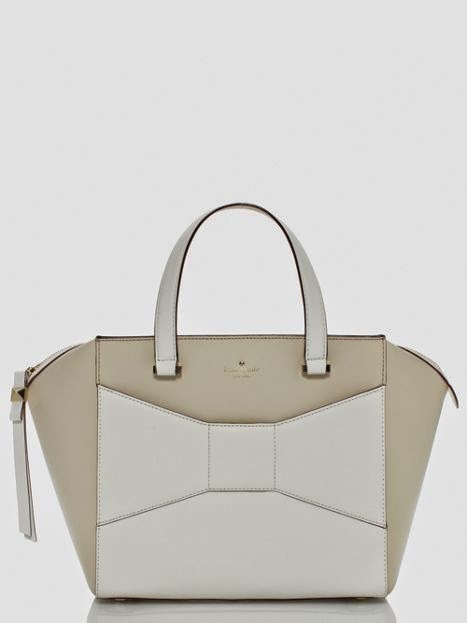 Last night, I was browsing the Kate Spade website just because and I found that the white Beau Bag is ON SALE. It just so happens that I have a bunch of graduation money sitting in my bank account waiting to be used. My mother would actually kill me if I ordered it, therefore I'll get her permission before purchasing, if I muster up the courage to ask her. I know I won't end up ordering it because it's still too much money and I could buy a whole new wardrobe for that amount but OH.MY.GOD...it's SO pretty. Isn't it just the perfect work bag?